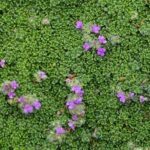 Though not all ground covers have exactly the same needs, the basics for getting them started are the same. Preparing the planting area is the key to success. 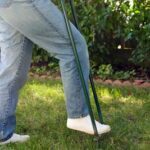 Start by ridding the area to be planted of any weeds, including their roots. If your site is relatively level, dig or till the area to about a foot deep. Add in any organic compost and a complete fertilizer, and rake the site to eliminate high spots and fill in low spots. For hillsides, it’s best to leave the site as undisturbed as possible. 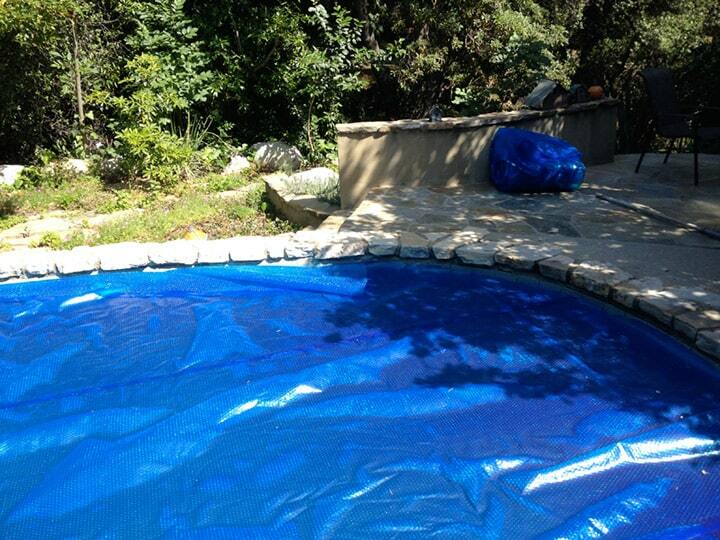 If you wish, lay down landscape fabric before planting to prevent weed growth. It’s best to plant in fall about one month before the first frost or in early spring before the growing season begins. Space plants to accommodate their mature size. If you’re covering a large area, stagger the rows so the plants are offset. When planting from flats or cell packs, dig a hole just the depth of the rootball of each plant and slightly wider. Place each plant in the hole and fill in with garden soil. Water gently but thoroughly. For larger plants, dig a hole slightly deeper than the rootball and twice as wide, with the sides tapered out slightly at the bottom of the hole. Create a small mound in the center of the hole, place the plant on the mound, and spread out the roots. The crown of the plant should be slightly above the soil level. Fill in with the soil you removed from the hole, and then mound additional soil around the edges of the planting hole to form a watering basin. Water thoroughly after planting and then add mulch around the plants. If you’re planting on a hillside, set the plants out in a staggered pattern. For each plant, cut back into the hillside to create a flat spot, leaving enough room for the plant and a small watering basin behind it. Put the crowns slightly above the soil line so they won’t be overwatered by runoff. Water thoroughly and then add mulch around the plants. For the most part, ground covers require minimal maintenance. Probably the most important requirement is sufficient water. 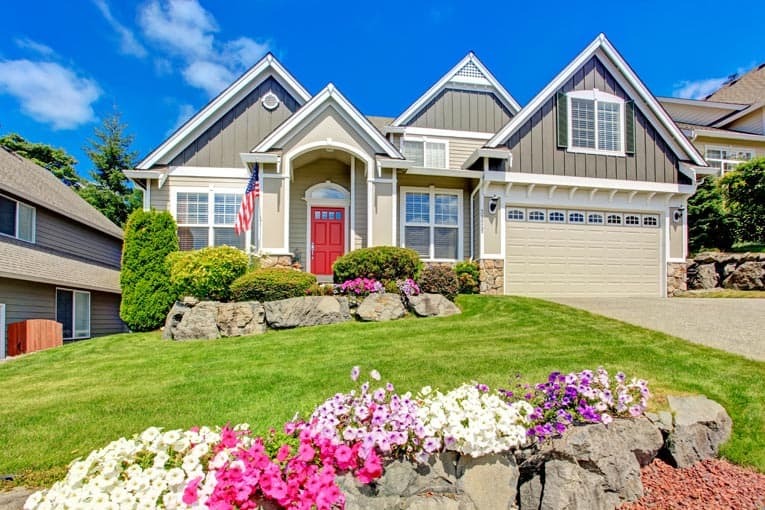 Even the most drought-tolerant ground covers will need additional water while they’re becoming established, and many perennial ground covers will need regular watering (although not as much water as most lawns). For a small area, hand watering or portable sprinklers may be effective enough. 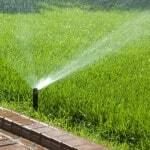 For larger areas, though, consider using either drip irrigation or in-ground sprinklers. Drip irrigation systems use less overall water. Because they deliver water directly to the plant roots, they encourage deep root growth, discourage weeds, and prevent water runoff and evaporation. Drip systems are especially good for hillside plantings. For higher, shrubbier plants or ground covers that consist of masses of individual plants, an in-ground system is the best choice. 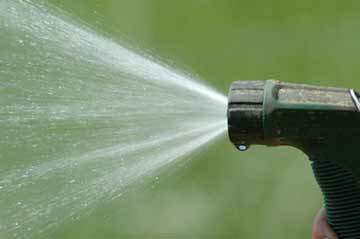 Use a timer to ensure that you don’t overwater, and set the sprinklers so they don’t overspray onto hardscaping. Ground covers generally don’t need much feeding. Shrublike ground covers and drought- tolerant plants are often fine with little fertilizer or with only fertilizing when you plant them. Perennial ground covers may need to be fertilized yearly, usually right before the growing season. And, of course, if your plants start to look pale or sparse, use a complete fertilizer to give them a boost. Other periodic chores include weeding and keeping pests under control. Check the planting area on a regular basis and for weeds and garden pests before they become a big problem. Even easy-care ground covers may need some help to keep them under control. Some ground covers can be invasive, spreading into neighboring garden beds. 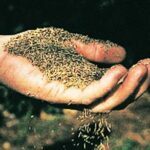 If they spread by seeds, pull them out, roots and all, from areas where they aren’t wanted. For those that spread by runners, cut them back with clippers or hedge shears. If they take over a large area, use a spade to cut through the roots. You should always choose plants whose mature size is what you want, but occasionally you’ll find some branches that are growing too tall or too wide. Prune these errant branches back as you would a shrub or tree. Some ground covers, such as Aaron’s beard and bishop’s weed, also benefit from an occasional mowing (with the blades set on high) to keep them in check and help rejuvenate them. Others, such as Australian saltbush, epimedium, moss pink, and phlox, should have spent blooms removed. If your overall ground cover starts to look woody and sparse, it may be time to replace it with new plants.